England and Wales) show where fire-resistant barriers are required. If an alternative approach has been taken to demonstrate compliance with Building Regulations, such as a fire safety engineering design study, then the applications for fire-resistant glass must be specified in the appropriate design report. When must the glass be integrity-only and when must it have insulation performance? are given in the appropriate guidance to the Regulations, or in the appropriate design report if the building is subject to a fire safety engineering study. How can it be ensured that the specified system is appropriate for the application? report, or in an assessment report or by third party certification. The test evidence that is provided must be appropriate to both the application and the specific glazed system that is to be installed. Is it possible to obtain a fire certificate for installed fire-resistant glass products? are not applicable to individual products, systems, assemblies or installations. assessment report, which must be provided by the supplier on request. Why can’t toughened glass be used for fire-resistant applications? during a fire and it must not be used where fire-resistant barriers are required. compositions such as toughened borosilicates that can be used, but both types are strictly subject to manufacturers’ specific guidance on their use. Can it be assumed that a fire-resistant glass successfully tested in single glazing will give the same performance in an IGU? available related to appropriate test evidence. What is the biggest pane size that can be used? 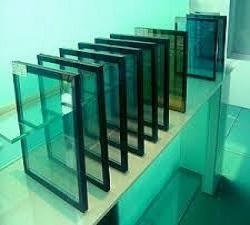 manufacturer or supplier for the maximum glass sizes tested and the associated framing system details. What edge cover should I use when glazing fire-resistant glass? cover is too great for this type of glass then premature failure is far more likely. When glazing must I allow for expansion of the fire-resistant glass? Can PVB laminated glass be used for fire-resistant applications, as it is a safety glass? not be used in fire-resistant applications. 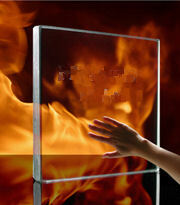 Safety glass types with fire-resistant properties are available, based upon special inter-layers. Can the maximum pane size be increased beyond what was tested? Only limited increases in tested pane sizes are allowed, according to assessment. The evidence provided by the glass manufacturer/supplier will provide the maximum pane size allowed for each particular system. Can the pane height be increased while reducing the width, keeping the same area? What size and shape of glazing bead can be used? This information can only be identified by reference to the approved glazing systems, and the size of bead will vary according to the glass and system chosen. Can the tested gasket or seal be exchanged for an alternative? This may be possible but only if the alternative has documented evidence showing that it can be used with the glass and framing system. If this evidence is not available, contact the gasket or seal supplier for confirmation of acceptability. What glazing seals must be used? The glazing seal has to be appropriate for the chosen system based on test evidence. Standard glazing seals must not be used for fire-resistant glazing. How big a piece of glass can be installed into a timber fire door leaf? This depends on the door leaf being used, as each door manufacturer will have tested different sizes of glass with their door leaf types. Maximum glass size can also depend on the glazing system being used in the door. The test or assessment information for the specific door leaf and glazed system will dictate the allowable maximum glass size and glass aspect ratio. It should be noted, that great care needs to be taken when cutting apertures into door leaves because this can adversely affect the fire-resistance performance of the door and this must only be done according to the door manufacturer’s guidance and instruction. Impact safety may also limit maximum glass size: if the glass has a class C impact safety rating then glazed door panels are limited to a maximum of 900mm. What shapes of vision panel can be used in a timber door leaf? Various shapes are possible but the types and sizes will depend upon the evidence available for the door leaf and the glazing system. If the evidence is unavailable for the required shape, then the shape must not be used. It should be noted that great care needs to be taken when cutting apertures into door leaves because this can adversely affect the fire-resistance performance of the door. What happens if a different species of timber is used? Different timbers have different burning characteristics and can influence the performance of the door or framing system. An alternative timber should not be used unless there is appropriate fire test evidence. What is the minimum frame section that may be used in a timber glazed system? The minimum section will be the size that can be demonstrated to work with the chosen fire-resistant glass. This can be identified by reference to fire test report. Contact the glass manufacturer/supplier for the appropriate information. Can square timber beads be used for fire-resistant glazing? Yes, in certain cases. 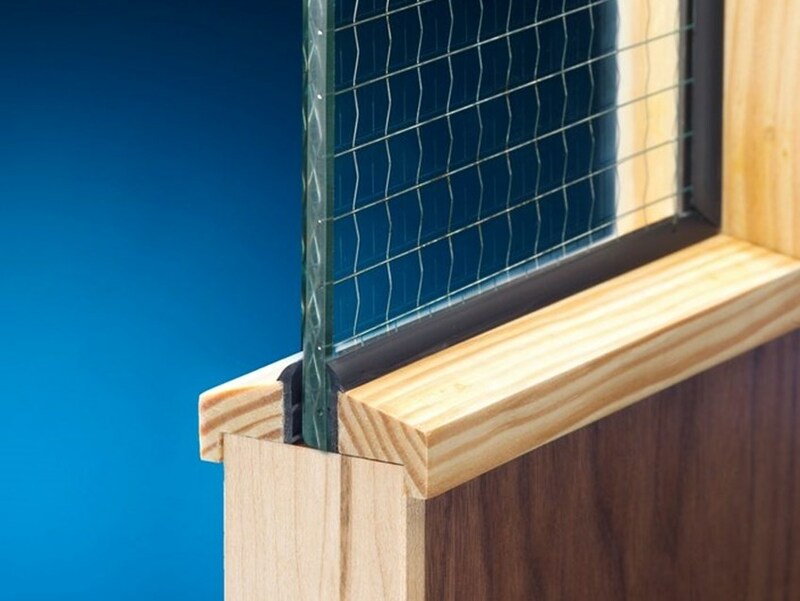 For insulation glass types, in particular, square beads present few problems but integrity-only glass types require more detailed consideration as transferred heat can lead to bead ignition on the protected face. Partial insulation glass types may also allow the use of square beads, subject to appropriate evidence of performance based on tests.